Two men have been charged with 33 burglaries in Hastings and Rother thanks to the thieves’ calling-cards. A prolific burglar was caught based on linking the offences and seeing a specific pattern, leading to him being charged with 15 house burglaries within Hastings and Newhaven. And another man was charged with 18 burglaries in 1066 country after investigating a series of offences bearing his hallmarks. Close links between police and second-hand dealers across East Sussex paid dividends when, just before Christmas, a dealer alerted officers after being offered suspicious items which might be stolen property. Police obtained a warrant to search a house and arrested a suspect. 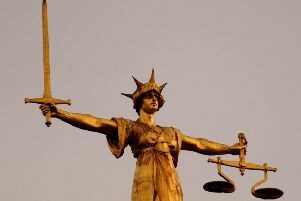 A quantity of stolen property was recovered and the suspect was remanded into custody in connection with 14 burglary dwelling offences. East Sussex divisional commander Ch Supt Di Roskilly said: “We continue to treat burglary as a priority and will pursue offenders using every means possible to bring them to justice. “Prevention messaging is also a constant theme through social media, the press and visits by officers to vulnerable people/properties. Known offenders and criminals’ ways of working are analysed in order to deter or detect fresh crimes. A lot of burglary offenders have drug habits and there is invaluable work with partners to monitor and provide rehabilitation services to prevent further offending and work with Restorative Justice to give the victims of crime an opportunity to meet the offenders face-to-face. Burglary offences have a significant impact on victims and there is a lot of behind-the-scenes work involving forensic examiners and witness care officers who are vital in identifying suspects and supporting victims. During 2015 police in Sussex as a whole saw a 7.2 per cent drop in such crimes, equating to 51 fewer victims. Countywide, Sussex is in the top six safest counties so far as burglaries are concerned. Anyone with information about offences, suspicious activity or suspects is urged to let police know by emailing or phoning 101 with as much detail as possible. They also have the option of contacting the independent charity Crimestoppers without having to leave their name on 0800 555 111. If a crime is believed to be in progress, people should not hesitate but call 999 immediately and ask for police. Householders can reduce the chance of their property being burgled by following some simple crime prevention steps please see the home security checklist at www.sussex.police.uk/burglary. Belongings can be protected by registering them on www.immobilise.com. It’s free, only takes a few minutes and enables police, insurers and second-hand traders to help in recovering property and catching offenders.